I’ve been thinking about settings in fiction this week. 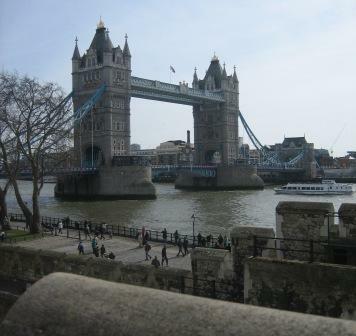 Two of my favourite locations for novels are London – where I went to University – and Cambridge, where I live and work. At first glance, they appear to be quite different. I love the great, heaving mass of activity that makes up London: the diversity, the size; I even like the noise and the dirt and the bustle. I love the blast of hot air you get when a tube train rushes into the station, the way you can go out in central London at midnight and still find the place crawling with theatre goers, just tumbling out of the restaurants after a post-show dinner. But, of course, I realise I’m talking about the prosperous side of London life here. Just like London, Cambridge has its share of street drinkers, homelessness and crime. Just like London it also has plenty of life at the other end of spectrum, with its expensive homes, exclusive shops and shi shi restaurants, alive with conversation. And it throws some rarefied university-related traditions into the bargain. 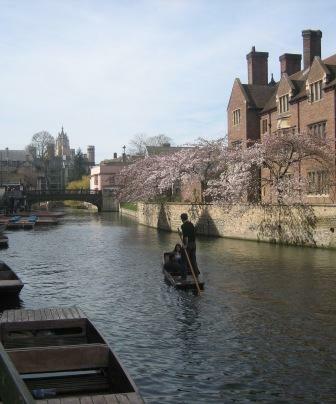 Cambridge isn’t anywhere near as large or as busy as the capital, of course, but it too is visited by tourists from all over the world, and in spring it sprouts street entertainers and its streets throng with people. In both London and Cambridge you can be as eccentric as you like without causing a stir. Fancy indulging in some public mud wrestling? Want to dress entirely in shades of purple? Plan to hurtle past with an unexplained skeleton in your bike basket? In either city I suspect you’d feel quite at home. The phrases “only in London” and “only in Cambridge” are both much used, and I expect there are other “only” places too.. Both cities have green areas within their borders – London with its parks, and Cambridge with its commons, next to the river, with grazing cattle in summer. And both have some great architecture – both historic and modern – and famous images to draw on. With Cambridge it’s much quicker to access the countryside proper: the strange eerie loneliness of the fens, with their 180 degree skies and flat watery landscapes as far as the eye can see. Both cities instantly fill me with ideas for stories, with their strange nooks and crannies, the mix of cultures and the way in which they sandwich people from different backgrounds together. Because Cambridge is smaller, this effect is intensified. Squatters live cheek by jowl with Nobel laureates, and you can walk from singers performing madrigals by the river to crowds of dispossessed people on Christ’s Pieces in five minutes. The inequalities of life are very apparent. Cambridge is also full of a constantly replenished supply of young people. Students make up a substantial portion of the population. When I first arrived I was roughly their age. The years have passed for me, but not for this perpetually renewed cohort. That, for me, is one of the singularities of living here. When working on a setting for a story, I love the excuse it gives me to set out for a long walk, camera and notebook in hand. I record video when I can so that I can remember sounds, as well as the way a place looks. I find writing scenes set in summer especially satisfying, when the warmth brings out the smell of a place, whether its traffic fumes, grass or a newly painted fence. Ten things you should know about setting (including a couple of exercises) from Chuck Wendig. I have downloaded some of his ebooks for writers (see Amazon). They are very funny, provide great advice and are positively educational in terms of the variety of swear words they use. An article from Writing World on ways to create vivid fictional settings with a light touch. Exercises to develop setting from Writing Forward. Do you have favourite fictional settings as a reader or a writer? And, if you write, what are your methods for researching a particular landscape? Please do leave a comment. Hi Clare, what an interesting post with lovely description! I know both cities well and your words evoked many memories. As you know already, I love writing about Italy and my next challenge is to write eighteenth century scenes set there. I'm reading up on it at the moment. Describing architecture and scenery shouldn't be difficult, but daily life then was very different as it was here. Thanks for your lovely comment, Anita. The period you’re researching at the moment sounds fascinating. I can’t wait to read the results and hope the writing goes well!